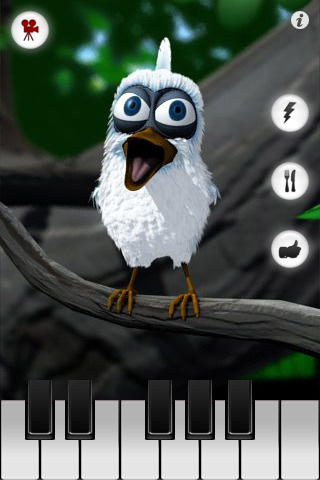 Outfit7 Ltd is offering a new addition to their successful 3D animation iPhone app series called Talking Friends. Just released app, called ﻿Talking Larry the Bird is the company's third 3D character, among the Talking Friends series, after amazing Talking Tom Cat and Talking Baby Hippo. 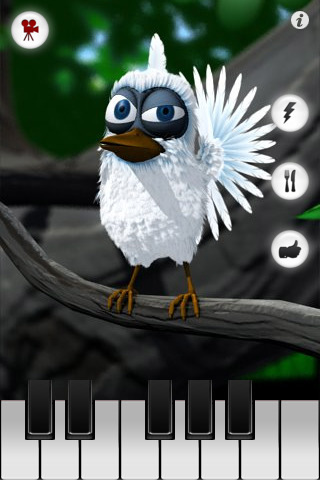 Besides, Talking Larry the Bird is available for both iPad and iPhone users. The app offers entertaining animations, speech detection, piano keyboard playing, video recording and video sharing. According to piano keyboard playing Talking Larry is able to whistle. The Larry bird can repeat speech with funny voice and allows users to poke him, feed him, strike him with lighting and even make him bow and accept applause. The app makes available to record your own videos of Talking Larry and share them on YouTube, Facebook or send them to your friends by email. Talking Larry the Bird 1.0 for iPhone is $1.99 USD. The iPad version is $4.99. Both are available worldwide exclusively through the App Store in the Entertainment category.